People often talk about taking out a second mortgage, but what does that mean exactly? A second mortgage is a loan taken out against a first mortgage. This means, you are borrowing money against a home that you are still paying for. People seek to take out a second mortgage to consolidate debts, to finance home improvements, to avoid paying property mortgage insurance, and other reasons. Second mortgages are possible because they tap into the equity that your home has built up over time through making payments. Second mortgages can be advantageous to many homeowners. Many people are not able to borrow a large sum of money by just going to the bank and requesting it. 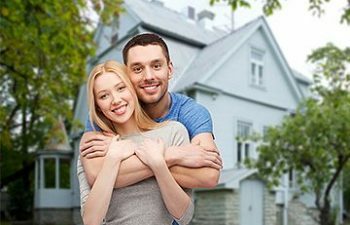 However, people are often able to borrow a large sum at one time if the loan is secured against their home – which is typically worth a good deal of money. Some people find that they receive a tax benefit because they are allowed a deduction for the interest that they have paid on the second mortgage. However, many people find themselves in dire financial turmoil due to taking out a second mortgage. Of course, the biggest risk of taking out a second mortgage against your home’s first mortgage is that your house is put on the line. You still owe money on your house, and now you will owe more money against that first loan. Millions of Americans have had to file for bankruptcy because they could not afford to make the payments on both the original mortgage and the second mortgage combined. Any time you borrow money from someone, other than a really good friend or family member, you will be required to pay interest on the loan. Therefore, you are really paying more than what you are borrowing. People often forget to look at the big picture when they consider a second mortgage, and often big banks will not help people make the wise decision. It is a risk for a lender to give you a second mortgage because they understand that should you become unable to make your payments they will not be paid unless the first mortgage is fully paid off. This drives up the interest rates for second mortgages – making your debt even higher. Before you consider taking out a second mortgage, take the time to look at your big financial picture. If you are already in financial turmoil, please contact Boudreaux Law Firm today. We will help you find the best path to a fresh start.